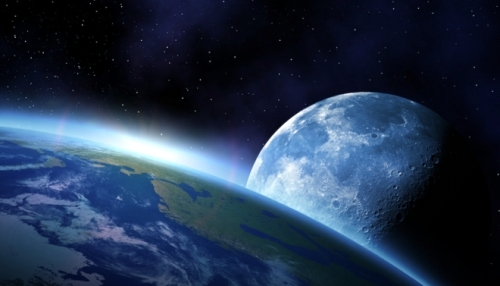 Not many know that the earth’s distance from moon can vary each 27-day month by up to 20%. The timing of the closest point is called perigee. There are 13 or 14 perigees per year. The more visible full moon-new moon-full moon sequence is a separate cycle. Sometimes full or new moons occur near the day of perigee, and a few times per year the combination is on the same day. When a full or new moon occurs on the same day as a perigee astrometeorologists have adopted the name ‘supermoon’ to describe it, first suggested by US astrologer Richard Nolle in 1979. When these two lunar cycles combine, extreme weather often results. Perigees occur at or near winter full moons for about 2-3 years, then they swap to accompany winter new moons. The whole cycle takes nearly 9-years. For example, 2004 brought perigee full moons from May to September, 2009 hosted perigee new moons May to September, and 2013 again sees perigee full moons from May to September. In the between years, perigee new or full moons occur during spring and autumn. 2013 has three supermoons; on 25 May, 23 June and 22 July. In 2012 there were five and next year also sees five. In 2007 there were six supermoons, and 2015, 2016, 2019 and 2028 will each have six. Years that have less supermoons tend overall to have more wet spells, and vice versa. Supermoons bring higher kingtides. More extremes occur when a perigee is closer than other perigees in the year, and even more so on the days in the year when the moon-earth distance is both the shortest and second shortest. In 2011 the closest perigee was 356577kms away, but in 2012 that distance was 356953kms and 356989kms in 2013, meaning in general terms that risks of extreme events should be at least no worse this time than last year’s closest supermoon. There is no name for the day of closest-perigee for the year, but we might call it the superduper moon. The Apollo team that took Neil Armstrong and Buzz Aldrin to the moon left the launch pad 16 July 1969 and arrived on the moon 21 July. Perigees were 29 June and 28 July and were the first and second closest perigees for that year. Departing when they did ensured that with the closer moon the mission would save 50,000kms of fuel, plus a further 10,000kms because of the extra closeness of the June and July perigees. The moon was not as close to earth again until October 1971, but in their frantic race to beat the Russians to the moon the Americans could not afford to wait two extra years, even though the October 1971 moon was closer. This year the superduper moon is 23 June. Next year it will be 10 August, also a full moon. This year's event will be followed by a 3-day kingtide, so the water table will be close to the surface. The super–new moon of 8 September 2010 and associated high water table was the reason for the increased liquefaction. In 2011 the superduper perigee was on 20 March. The Japanese tsunami occurred just 9 days beforehand, when the closest the moon was to the earth for 17 or 19 years (depending how calculated) was already in position, and the 22 February catastrophe had occurred exactly one lunar pulse (28 days) beforehand. The superduper moon of 20 March produced a 7-intensity shake, the fourth largest in the Christchurch sequence. In 2012, closest perigee was 6 May and brought considerable seismic activity. On that day were earthquakes with magnitudes 5.5M in Tonga,. 4.2M in Wellington, 4.2M on the West Coast and 3.1M 10kms south of Christchurch. Earthquakes are larger just before and just after kingtide, being 21-23 June and last few days of June, so activity may be high internationally around then. There may also be a rapid air pressure rise for Christchurch in July’s first few days, an "earthquake weather" factor that may mean the end of June/beginning of July could be a time to watch, even though Christchurch will not repeat a multi-shake cluster before the moon cycle returns. Fiji and west of Kermadecs may get a jolt around 21-22 June and Christchurch may feel a shake on or near 23 June. About 28-30 June the Kermadecs, Tonga and Fiji may be an active zone. This may be followed by more shakes between 2-6 July in the Pacific. For Lyttleton, midday of the 25th is when the land tide for the month will be the highest. Around midday of 26 June the top half of the North Island and then the whole country over the following few days become subjected to the combination of solar periodicity and lunar intersection that has potential to create atmospheric turbulence. In NZ, we might expect a windy time with disturbed westerlies gusting across the country during the supermoon interval, bringing snow and rain. Auckland to Manawatu, the top of the South Island and Canterbury may be affected. Western Australia can expect severe winds in the SW around 17th-18th, plus heavy rainfall in the top half in days leading up to 23rd. NSW can expect gusty winds at or near 25th and 28-29 June about the Slopes, Tablelands, Northern Rivers, Hunter and Metropolitan districts as well as their coasts, with chances of flooding on the South Coast. Tasmania may get heavy snow around 29th with gale force winds in its northern districts about 30th. Melbourne may receive wind gusts about 26th. In the USA, Virginia and Texas may incur flooding in the first week of July. Among other areas at risk of the effects this supermoon may be Illinois River and GlommaRiver basin in Norway. We can mentally prepare for supermoons so they do not take us unawares. They arrive out of the blue but are quick to pass.